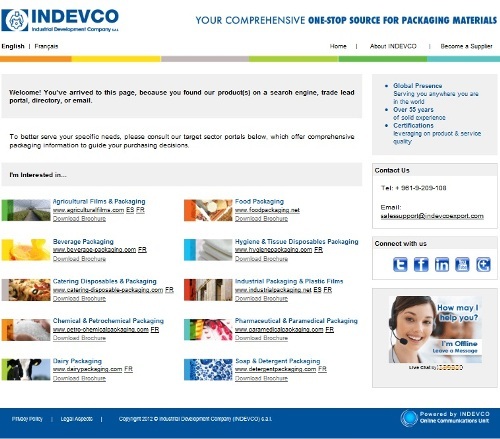 INDEVCO Group’s packaging portal in Spanish offers detailed information about plastic, paper, composite and corrugated packaging to meet dairy market needs. 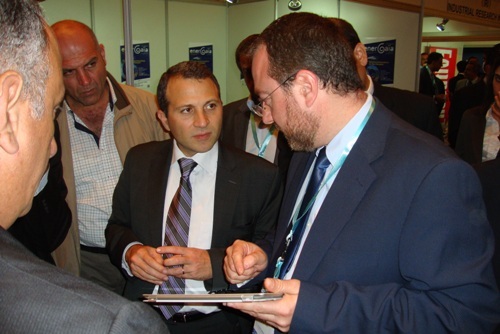 INDEVCO Group launched the Spanish dairy packaging portal to provide Spanish-speaking prospects and customers with in-depth product information and detailed specifications about corrugated packaging to protect, conserve, pack, transport and wrap dairy products. 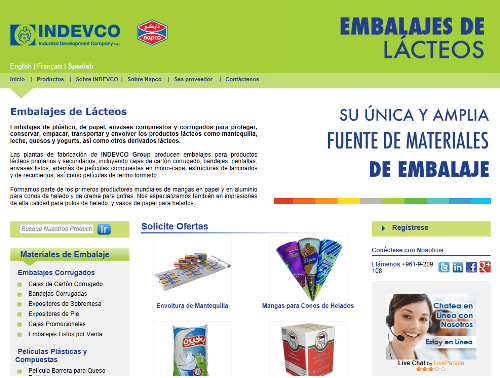 INDEVCO’s dairy packaging portal now provides comprehensive industry and product-based content in Spanish with a large variety of high-resolution vivid product images and brochures. Visitors of the interactive portal can gather all necessary information, engage in online Live Chat for any product queries, and request for quotes (RFQs), which are processed by INDEVCO Lead Generation Unit. Furthermore, the portal offers pre-determining online tools, which suggest products and sectors of interest in Spanish language. The dairy packaging portal also provides links to INDEVCO social media channels, such as Facebook, LinkedIn, YouTube, and Twitter. Interested parties can also subscribe to INDEVCO’s OUTBOUND e-newsletter to follow the latest product, company, sector, and event news. 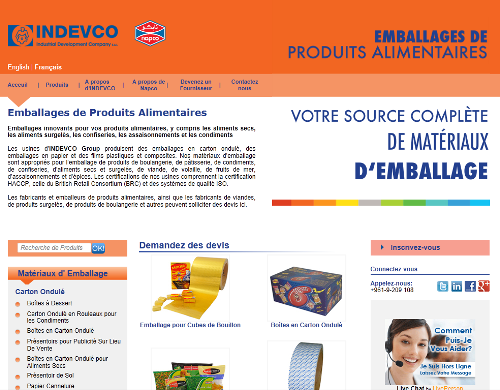 Visite el sitio web de embalajes en Español de INDEVCO Group que ofrece información detallada sobre embalajes plásticos, en papel, en cartón y compuestos para satisfacer los requisitos del mercado de lácteos. INDEVCO Group puso en línea el portalde envasados de lácteos en Español, que proporciona a los prospectos y clientes hispánicos información precisa sobre los productos en y las especificaciones detalladas acerca de envases de cartón ondulado para proteger, conservar, empacar y transportar los productos lácteos. El sitio web de Lácteos de INDEVCO Group ofrece contenido en español sobre la industria basada en productos con una gran variedad de imágenes de alta resolución y de folletos sobre las especificaciones de los productos. Los visitantes del portal interactivo pueden reunir toda la información necesaria, participar en el chat en línea para cualquier consulta y solicitud de cotizaciones (RFQ) para productos, que son procesados ​​por la Unidad de Marketing en Línea. Además, el sitio web ofrece herramientas en línea pre-determinadas, sugiriendo embalajes de productos lácteos en Español. Este portal también ofrece enlaces a los canales de medios sociales de INDEVCO, como Facebook, LinkedIn, YouTube y Twitter. Las partes interesadas también pueden suscribirse al boletín electrónico de noticias de INDEVCO para saber más sobre los últimos productos, la empresa, el sector y las noticias de eventos. 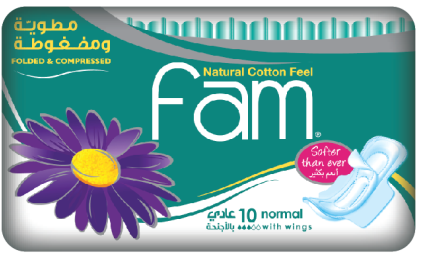 Fam’s new feminine sanitary napkin, ‘Folded & Compressed’, offers improved absorption and a softer feel. 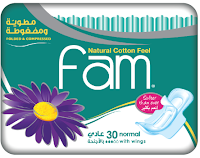 Napco Consumer, a leading consumer disposables manufacturer in KSA, introduces the new feminine sanitary pad, Fam ‘Folded & Compressed’, into the Arab market. 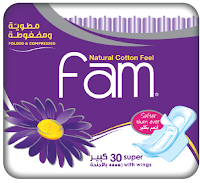 The new and enhanced feminine hygiene product offers softer and premium-quality top-sheet coverstock fibers, providing women with improved protection and a more natural cotton feel. 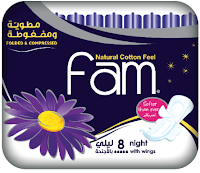 Available in three sizes (Normal, Super and Night), Fam ‘Folded & Compressed’ comes in packages of 10 and 30 (Normal or Super), as well as 8 and 24 (Night). 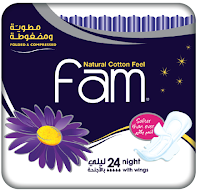 A below the line (BTL) campaign at point of sales will support the lauching of the new product, along with a large television commercial with the slogan ‘Fam Softer than Ever’ (Fam An3am Bikteer). 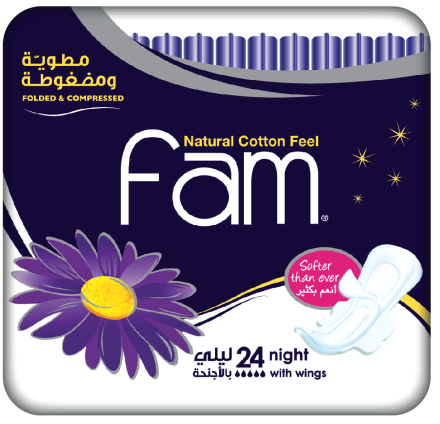 After extensive research, Napco Consumer with sister-company Mediapak, advertising and marketing agency, developed a new product package to appeal to women in the region. The product package integrates a new metallic effect offering innovative look and vivid colors, including a new purple for the brand’s flower icon. 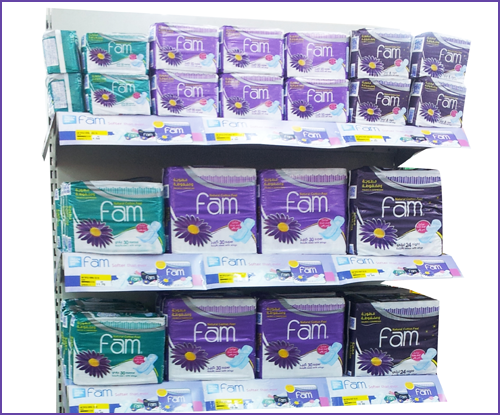 The package displays the feminine hygiene brand’s logo and promotes the “Softer than Ever” slogan. INDEVCO Paper Containers’ marketers and sales teams met together to share insights and set strategic goals at the first RedBlue Marketing Meet-Up. 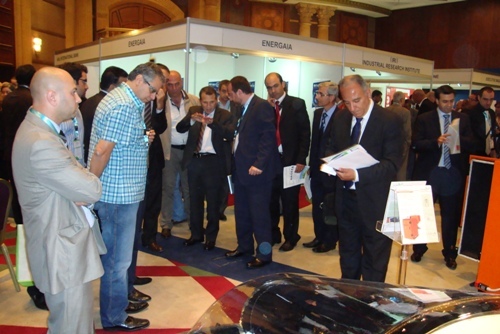 RedBlue Marketing Meet-Up, organized by INDEVCO Paper Containers marketing department, took place on 12 - 13 September 2012 at the Hilton Hotel, in 6th of October City, Egypt. All of INDEVCO Paper Containers’ marketers, business development teams, and sales managers met over two days to align and set local and global marketing objectives. "The mutual understanding of creative cooperation between the marketing department and the sales force, and the importance of continuous renewal will end up giving great results." 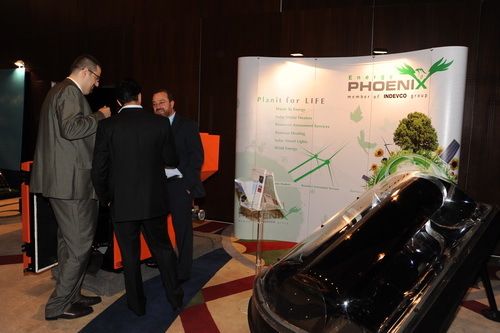 “I would like to thank the Marketing Team for all the hard work and dedication to prepare such a great event. The seminar was very valuable and well organized and I believe it will add many benefits to the group and the team mission." Multipak offers wider variety of cone sleeve sizes to meet ice cream and confectionary market needs. Jeddah-based Multipak, flexible paper packaging manufacturer, developed mini cone sleeves, offering a high-quality and eco-friendly packaging solution tailored to smaller ice cream cones. Multipak mini cone sleeves consist of 2-layers, an aluminum outer layer and an inner paper layer, providing ice cream producers’ cone sleeves that meet international standards and are tested to be drip-free and safe for food contact. Multipak offers high-quality printing through flexographic technology in up to 8 colors, as well as rotogravure printing. Furthermore, mini cone sleeves meet customer requirements, with test results showing no wrinkles, gaps, or creasing in the side sealing; Bottom tip evenly formed and no excessive glues not sticking, and proper ink adhesion. 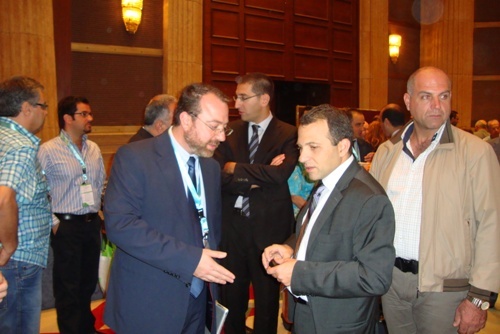 Multipak products are safe for food contact, meeting international food-safety and quality standards. 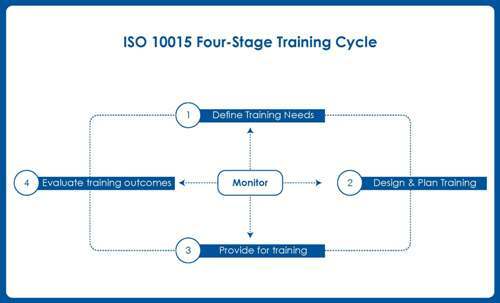 The manufacturing plant holds BRC/IoP and Hazard Analysis and Critical Point (HACCP) certifications, and has passed meticulous supplier audits. Multipak supplies Yum! restaurants and Nestle. The inner paper layer of Multipak mini cone sleeve is FSC/PEFC ‘Chain of Custody’ (CoC) certified, indicating that the paper originates from sustainably managed forests. With thorough testing, Multipak ensures that mini cone sleeves offer an anti-drip packaging solution for smaller ice cream treats. The outer aluminum layer holds the top lid in place, protecting the ice cream from water penetration and other external debris, as well as preventing dripping.